If you’re a coffee enthusiast, you know that there are plenty of great choices when it comes to finding other exceptional roasters and coffee providers that are to your standards. Yes, you may have some go-to favorites, but there are always several other options you haven’t tried yet. 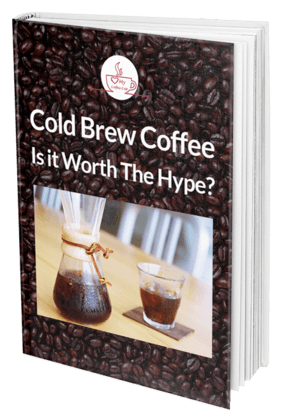 Finding the best gourmet coffee is much easier than it used to be, but that doesn’t negate the fact that there are so many different choices now, probably more than ever. This is a definitely a good thing, but sorting through all of the various coffees available can take a very long time. We took it upon ourselves to find some great choices broken down into two very different price ranges; giving you a better idea where to start when searching for premium coffee beans to add to your own rotation at home. If you want to try some different coffees, or are simply looking for items to make a coffee gift set out of, the following five choices are a great place to start, and cover a lot of ground in terms of variety. 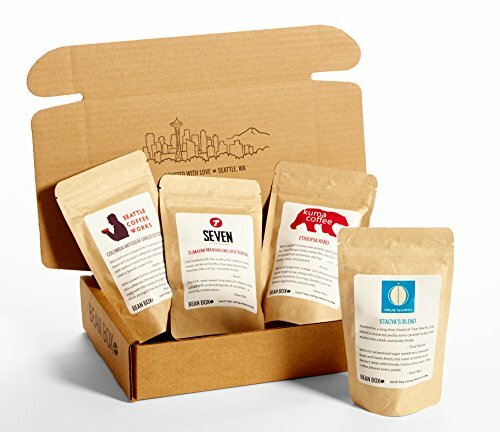 Bean Box’s sampler makes it easy to try four different varieties of premium Seattle coffee at a very fair price. One box contains four 2 oz. packets of whole bean coffee from a wide range of Seattle roasters, with many of them providing some fun and insightful information about the coffee’s origins, the roasting process, and of course the roaster themselves. There’s always a small artisan gift included as well. You also have the option of choosing your own roast style preferences, such as dark, decaf, light, and espresso. Or you can just leave it all up to Bean Box to decide.The major advantage with the Bean Box is how close you receive the coffee after its roasting date -- in some case, just a few days after. The Bean Box is a great way to discover new coffee from roasters you may otherwise never hear about. The freshness factor is a huge part as well, which may actually be the greatest appeal here. For under $30, this box is a great gift to someone else, or just for yourself. For those that don’t know, Ganoderma Lucidum is a type of Asian mushroom that has been used medicinally for centuries, offering numerous health benefits. No, this isn’t ground up mushrooms, but rather coffee beans infused with mushrooms, giving it a subtle flavor that makes the overall taste quite complex. Organo Gold packages this particular product as a box with 30 satchels of pre-ground, instant coffee powder that can be dissolved in hot water. Each satchel is enough for one small cup, but you can add more to increase flavor. Ganoderma Lucidum also contains a very low caffeine amount, so this is perfect for decaf drinkers. 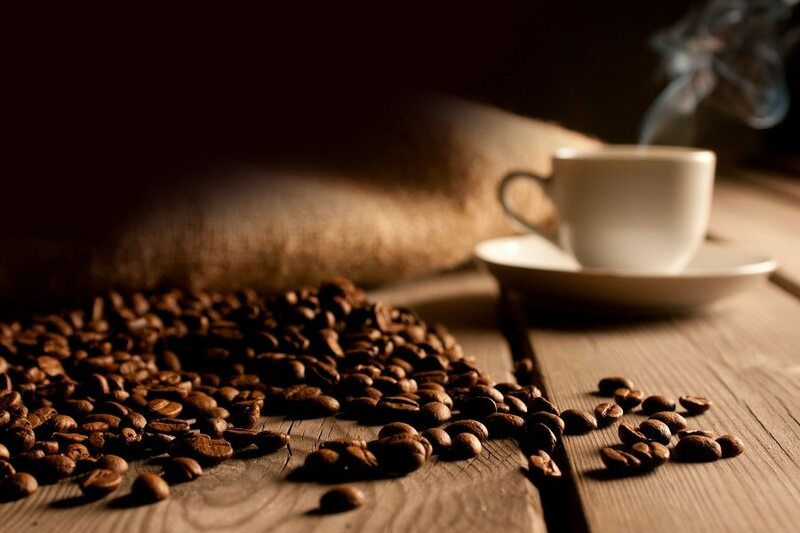 Whether you are an experienced Ganoderma Lucidum coffee drinker, or are new to the type, the price and amount of this offering from Organo Gold makes it easy and affordable. Koffee Kult keeps things simple with their medium roast coffee offering. Low in acidity, and full of body, this medium roast is a great daily coffee with a flavor profile that will appeal to most. Koffee Kult uses arabica beans that are from either Brazil or Columbia, and roasted in small batches in the USA using a unique roasting process. You have your choice of whole bean or ground, and of course we prefer the ground. The bag’s size is 32 ounces, giving you plenty of coffee to last through the month. The bags are shipped very shortly after roasting, so you know it’s always fresh. For under $30, this is an excellent value for how much you get. If you like no-frills, perfectly-balanced coffee, you’ll love this. Death Wish Coffee Co. has become a well known roaster due to their ability to create coffee with twice the normal amount of caffeine simply by altering their roasting process and bean selection. Fortunately, tjs doesn’t come at the expense of the bean’s flavors. Death Wish Coffee has a very high-end taste, thanks to the knowledge of the roasters, who do roast the coffee in very small batches with acute attention to detail. 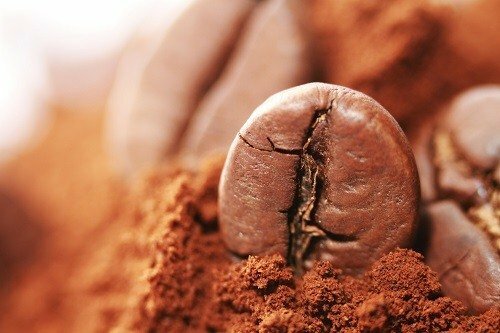 The beans themselves are sourced from India, South America, and Central America, and routinely contain notes of mocha, almond, and dark cherry. If you need a bit of a boost to your morning cup of coffee, Death Wish has you covered. Though not a novelty coffee in any sense, it still makes for a great gift to the coffee connoisseur in your life. Cafe Don Pablo’s gift box is by far one of the best values you’ll find in terms of both the taste and the amount of coffee you get for a sampler. Each box is custom printed, and includes three separate 12 oz. bags of coffee: Pablo’s Pride Guatemala, Rocco’s Classic Italian Espresso, and Char Beanz Dark Coffee. Pablo’s Pride Guatemala is rich with chocolate notes, and has a smooth, velvety mouth feel with low acidity. It can be classified as a medium to dark roast. Rocco’s Classic Italian Espresso is made from a combination of Sumatran, Brazilian, and Columbian beans, giving it a complex flavor profile that is still balanced. It’s a dark roast, and perfect for use as espresso, providing rich crema. The char Beanz offering is a very dark roast made from South and Central American arabica beans. It retains the flavors of a traditional french roast, without the burnt flavor other roasters sometimes retain. The following selections are higher on the price scale, with much more variety across the products as well. Many of them have a higher price from the amount of coffee provided, as some are year long supplies, or multi-packs. This is the same thing as the Bean Box in the previous list, only as a 12 month subscription instead. You get all of the same items: four bags of 2 ounce coffee selections, roaster profiles, tasting notes, and brewing tips. This is a great way to ensure a monthly delivery of freshly-roasted coffee from a wide range of independent roasters, giving you both convenience and flavor. The year long subscription is also a better value. A true fit basket in every sense of the term, this particular basket from Art of Appreciation has a wide variety of not just coffees, but accessories and coffee-related treats as well. This coffee Care Package is hand crafted, shrink wrapped, and tied with a bow, making it instantly presentable and giftable to your family member, friend, or co-worker. The heart of the basket is the four assorted pre-ground coffee flavors (Columbian, Jamocha Almond Fudge, Butterscotch, and Tiramisu,) and a coffee themed mug. That’s quite the assortment of items. If you are looking for an all-encompassing coffee gift, this is it. Community Coffee’s brand of coffee is a popular and longtime favorite of many, as they have made a name for themselves for many years by offering a small selection of roast varieties with simple flavor profiles. Their premium ground coffee choices are available in four different flavors: Medium Roast, Between Roast, Dark Roast, and a Chicory blend that is among the most popular. This particular package allows you to choose your flavor, with 10 individual 16 oz packages sent right to your door. The convenience, quality, and amount received for the price is hard to beat. If you like simple, quality pre-ground coffee, this is an amazing deal. Tim Horton’s has been a popular chain for decades, and these single serve coffee cups provide a quick and convenient way to make the perfect cup from their coffee beans at home. The cups themselves are compatible with both K-Cup and Keurig brewers. The cups are available in several different flavors, including Arabica Medium, Dark Roast, Decaf, French Vanilla, Original Blend, and Regular. All of the coffees available are made from 100% arabica beans. The cups are available in numerous amounts, but we prefer the 80 count package because not only is it the best deal overall, it cuts down the amount of times you have to order the coffee cups as well. We highly recommend these if you are partial to K-Cup brewers. Home coffee roasters and amatuer roasting hobbyists are increasing in numbers every day, and it’s easy to see why. Roasting your own coffee at home is the best possible way to ensure the freshest, most flavorful cup of coffee. There are now more green unroasted coffee beans available online than ever, so it may be hard to lock in on the best. This Ethiopia Yirgacheffe offering from Integrity Coffee Co. is one of the finest on the market. Wth juicy, floral notes that complement the blueberry and lemon notes, the Ethiopian Yirgacheffe provides a bright, distinctive flavor with each cup. Simply incredible coffee. Each 20 lb order includes 4 individual 5 lb. burlap bags that contain the coffee beans sealed in a Kraft Foil bag for freshness. Roasting guidelines are included as well. This is a great way to stock up on beans for your home, and the burlap sack gives the coffee a nice aesthetic for your kitchen or pantry. Kona coffee is one of the finest varieties available in the world, and can only be found on the islands of Hawaii. This offering from Hawaii Roasters is a perfect example of the purest of Kona coffees -- no flavors, no gimmicks, just quality, 100% certified authentic Kona coffee. The beans are hand-picked, sun-dried, and then farm roasted by master roasters in very small batches on a sustainable farm, ensuring fresh coffee that is also environmentally-friendly. The coffee is a dark roast, and has the same smooth, full body you expect from a quality Kona coffee. The packing of 5 individually packaged 14 oz bags is the best deal, and cuts down on the amount of ordering needed to keep your home stocked. If you are in search of coffee that is grown and roasted using traditions that are untouched by modern technology for the most authentic flavor experience possible, this Aprocassi Cajamarca is definitely for you. Grown in Peru, these beans are organically grown using the same methods that date back to the 1700s. The techniques have been handed down via word of mouth for generations, and the process is considered sacred in any ways. The result? An incredibly rich and smooth batch of beans that provides a flavor you will not find anywhere else. This is truly a throwback taste experience that echos the purest forms of coffee farming and roasting. The beans are available in dark, medium, and light roasts, and you can also order them unroasted for the best possible taste. As with the other items on this list, the larger order is the best way to go in terms of value and convenience. We love this coffee, and you will too. It’s also a great gift for true coffee purists. We hope you take advantage of the fruits of our research, as we stand behind all of these recommendations. Whether you are trying to up your own coffee game, or are simply looking for a great gift idea, you can’t go wrong with any of these. Enjoy, and let us know what you think in the comments below!